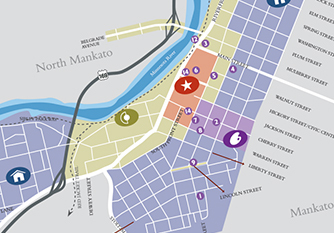 As promoters, recruiters and advocates for City Center Mankato, the City Center Partnership works in conjunction with its businesses and citizens to find opportunities and solutions to keep our City Center vibrant and prosperous. There are sponsorship opportunities at a variety of levels. Join the celebration of Maverick Hockey for the October 2018 event!